Dan Cassidy was a member of Bob Elliott's WoodenBoat School summer of 2000 class, "Building the Salisbury Point Skiff." Dan was lucky enough to win the boat in the class drawing and hauled it to Cushing, Maine where Ed Mezzapelle finished her between April and August 2001. 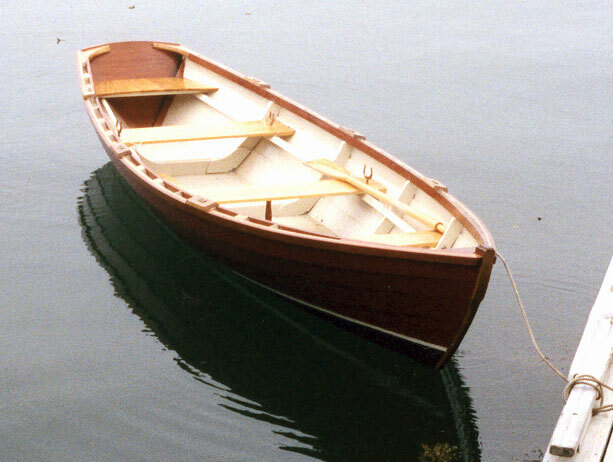 Dan and Ed launched the skiff LITTLE LINDA ANN on August 4, 2001 at Davis Cove on Pleasant Point in Cushing, Maine. Ed and Dan hope the other class participants will enjoy seeing the finished product.